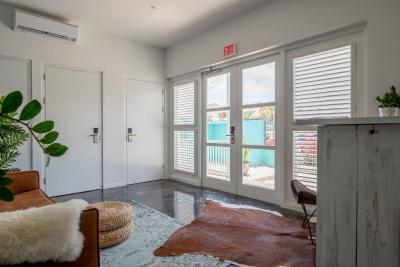 Lock in a great price for BOHO Bohemian Boutique Hotel – rated 9.2 by recent guests! Great value for money, brand new hotel at a great location. A lot of restaurants within a few meters (Cristal, Kome, Scubalodge, Saint Tropez). Security present during the night, parked my car in front of the hotel for free. The beds are amazing, love the design and decor, they have great attention to detail! The patio with Jazucci is a beautiful place to relax at the end the day. Perfect location in the heart of Pietermaai. Definitely coming back! The hotel has a sublime location in Pietermaai, with nice bars, restaurants and bistros nearby. The staff was very friendly and easy to communicate with. The facilities were good, with even an own Netflix account free to use. The owner let use see the penthouse which is being finished. That would be the gem of the property. Fantastic location. Hotel breakfast was the best of our entire holiday. Great location and absolutely beautiful hotel. Loved the decor. Clean new rooms. Hotel owner were always happy to help. Very pleasant stay. I travel for business and I think this is a great hotel. It is quiet, centrally located in Pietermaai but you do not suffer from noise from city life. The location is excellent, you can walk to Saint Tropez and Scubalodge and many other cafes or restaurants. Excellent price/quality. 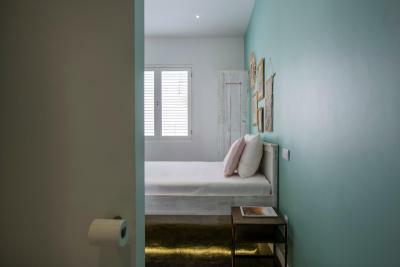 The bathrooms are all open, I didnt mind that but good to know if you travel with a friend or are not that comfortable :) Housekeeping every other day and reception is flexible, but you can contact the owner at any moment and he is always happy to help. Would recommend this hotel. 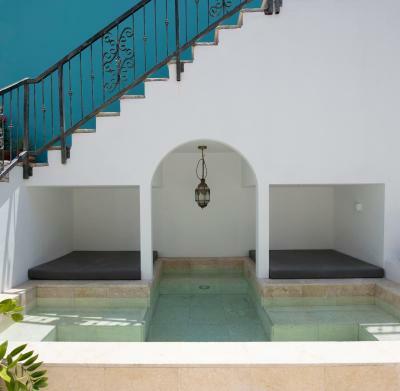 Oh and there is a jacuzzi, which is a suprise because it was not mentioned in the booking! 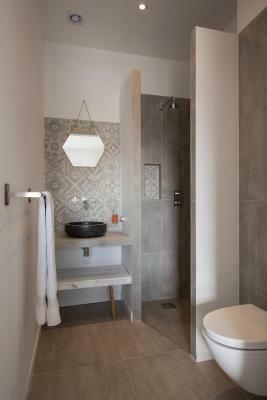 Boho is a lovely and cozy boutique hotel central in Pietermaai. The location can't be better. 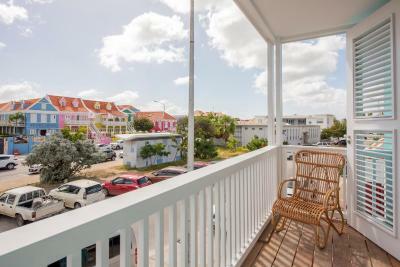 Walking distance (like 1-minute) from several really nice restaurants, bars, ocean/beach clubs and you can do a really nice walk trough the beautiful center of Pietermaai/Punda. The hotel is brand new and design is outstanding, all those lovely details. The cozy garden has a jacuzzi which we really enjoyed. The rooms have plenty of space and we liked the fact that we could park our rental car in front of the hotel for free. We will be back in summer of 2019 at Boho!!!! Fantastic stay in this hotel! Rooms are spacious, well decorated, brand new and super clean. Price/quality is great. 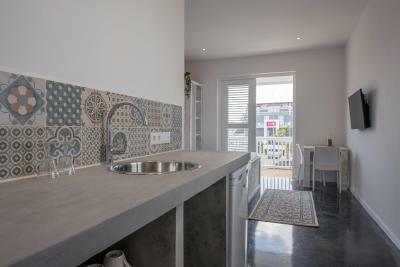 Location is perfect, just a few meters from all the restaurants and cafes and enough public parking (free!). Free wifi in the room. 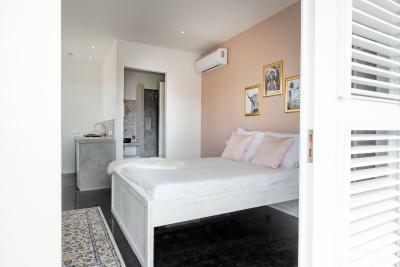 Mooie kamer, super leuk ingericht. Daarnaast een klein zwembadje in de tuin met bubbels! Ik werd ook erg hartelijk ontvangen. 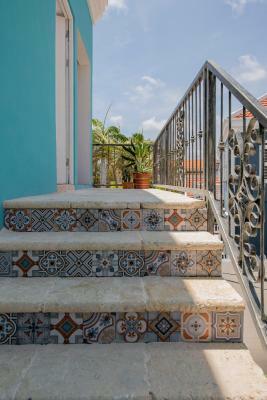 One of our best sellers in Willemstad! 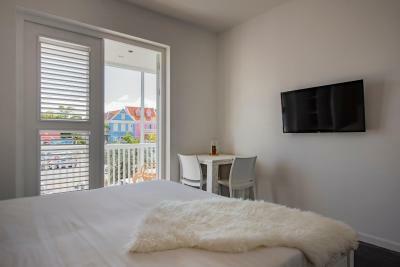 Providing free WiFi and a garden, BOHO Bohemian Boutique Hotel offers rooms in Willemstad, 1.1 miles from Queen Emma Bridge and 2.5 miles from Curacao Sea Aquarium. 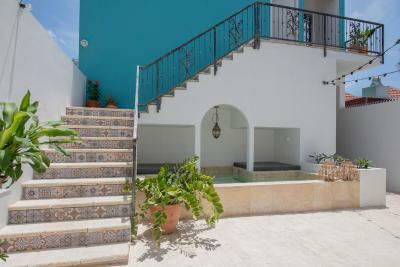 Featuring a tour desk, this property also provides guests with a sun terrace. Jan Thiel Beach is 6 miles away. 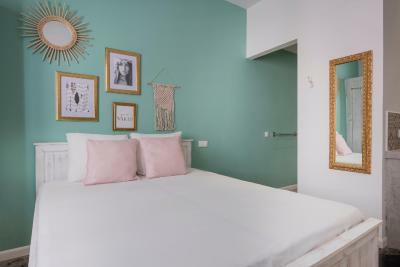 When would you like to stay at BOHO Bohemian Boutique Hotel? 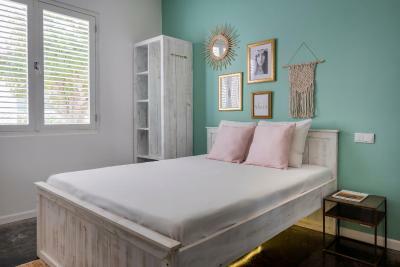 House Rules BOHO Bohemian Boutique Hotel takes special requests – add in the next step! ATM card Debit card BOHO Bohemian Boutique Hotel accepts these cards and reserves the right to temporarily hold an amount prior to arrival. 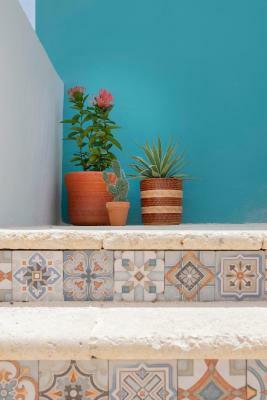 BOHO Bohemian Boutique Hotel accepts these cards and reserves the right to temporarily hold an amount prior to arrival. Please note that General Terms and Conditions of Boho B.V. apply. Upon check-in photo identification and credit card used for reservation is required. A deposit of USD 100,- per room is asked upon check-in cash in USD or ANG or through a credit card authorization. All special requests are subject to availability upon check-in. Special requests cannot be guaranteed and may incur additional charges. Boho bohemian boutique hotel has no fixed reception opening hours. The hotel has been opened for 3 months now. 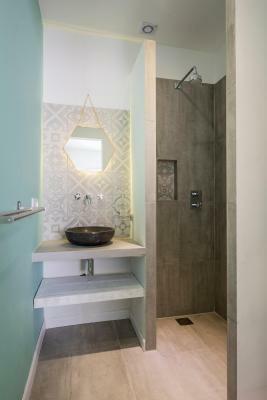 Some things needs to be refined (like a bin in the bathroom or some covers for the electrical circuits) but the staff took this advise as a good comment so they could work on it. This is a new building (some areas are still under construction, but nothing that bothers your stay). 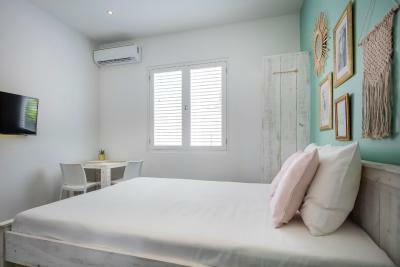 The rooms are very confortable, decorated with high end furniture. I totally recommend the room with the balcony (it has a nice ocean and street view). The location is the best, close to all great restaurants in the island (walking distance), but the room is very silent. No matter were you stay in the island you will need a car (thats the only way you can really enjoy all the spots). You have free parking just in front of the hotel (sometimes from 19 to 20:00 h is a little bit more difficult to find a parking space, but still possible). The is a small jacuzzi. There is no breakfast, but you can have it on some restaurants arround, including the l’klooster ( is another hotel). You may also use the small kitchen in the room (there is a coffe machine, a fridge, some plates, cups and glasses). The provide beach towels. I had just the perfect timing there. Special thanks to Mark, that made everything to make our stay pleasant.